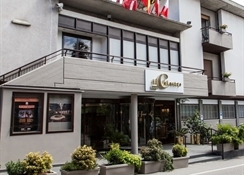 The hotel is centrally located, next to the pedestrian old town. The net of alleys leads to small typical ancient squares and further down to the lake promenade: shops, restaurants and bars make it an enjoyable spot to pleasantly stroll through.The hotel was partly converted from a former monastery and dispose of 100 rooms. 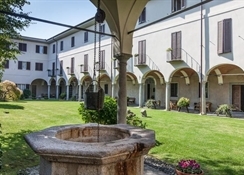 Among the facilities: reception, three elevators, WIFI connection free of charge, restaurants, bar, entertainment and meeting rooms, and a small inner chapel. 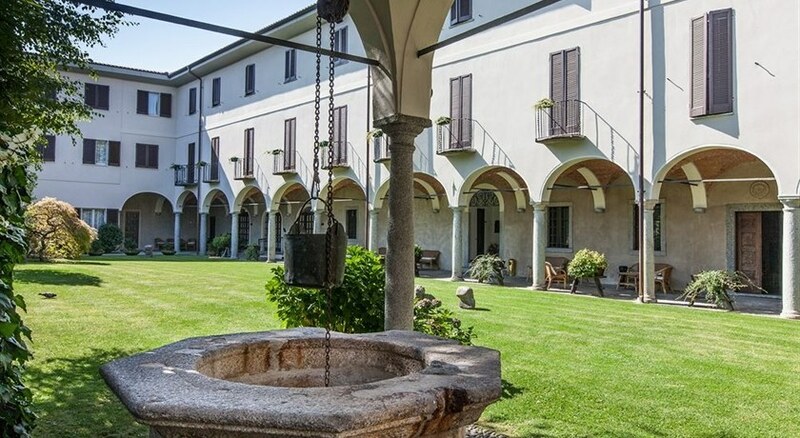 The two gardens, of which the eldest is surrounded by the ancient arcades, can be an ideal site to relax and enjoy a drink. Parking facilities are free of charge (according to availability). Credit cards: VISA, Mastercard, Amexco.The hotel has a fitness room amongst other facilities. The tastefully furnished rooms dispose of shower/WC, hairdryer, telephone, SAT-TV, air conditioning and heating.Single rooms have the same equipment and furnishing as the double rooms, only over a smaller surface and with single bed.Guests can enjoy the buffet breakfast. 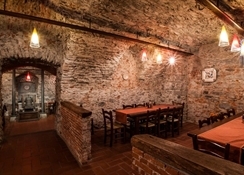 A three course dinner menu with choices is offered together with an appetizer and salad buffet. Please Note : Baby cots available (free of charge). No pets allowed Due to recent Tourist Tax Regulations all bookings might be subjected to an additional charge (fixed per destination/hotel) paid locally at the Hotel.